For streusel, combine all ingredients in a bowl and mix well. Set aside. For bread, in a medium bowl combine flours, baking soda, baking powder and salt. Stir well with a whisk. In a larger bowl combine sugar, oil, bananas and vanilla and mix until well combined. Add 1/2 flour mixture to sugar mixture and mix well. Add milk and continue mixing. Add remaining flour mixture and mix just until well combined. Stir 1/2 of the streusel mixture into the batter. Pour mixture into a loaf pan coated with baking spray. Top with remaining streusel mixture. Bake for 45-55 minutes or until a toothpick inserted in the middle comes out clean. Place on a cooling rack for 10 minutes. Today was my day of baking. I volunteer to bring our local police officers "goodies" once a month (to thank them for their service) so I headed to Natural Grocers to pick up some raw mixed nuts (I decided to make the officers roasted spiced mix nuts this month). While I was in the check-out I saw the October issue of Cooking Light with a beautiful Walnut Streusel bread on the cover. It looked so delicious that I grabbed the mag without a second thought. When I got home I worked on the roasted nuts and then started to look at the Walnut Streusel Bread recipe. I told my husband it looked like I needed to make Banana Nut Muffins (again) because we had 5 ripe bananas and I didn't want them to go to waste. Then it hit me... instead of doing Banana Nut Muffins (again) I could incorporate bananas into the Cooking Light recipe. So I set out to do it. I didn't change much from the original recipe except for using oat flour in addition to all-purpose flour, adding the bananas, reducing the amount and type of milk (the original recipe called for buttermilk), using turbinado sugar instead of regular sugar and using walnut oil instead of butter. Why walnut oil instead of butter? Honestly, I saw walnut oil while shopping and thought it was worth a try (the label caught my attention because it said "full of omega-3s"). Besides, I figured trying walnut oil in a walnut bread was a pretty good idea. The bread turned out delish and I can't wait for the hubs to come home and try it. 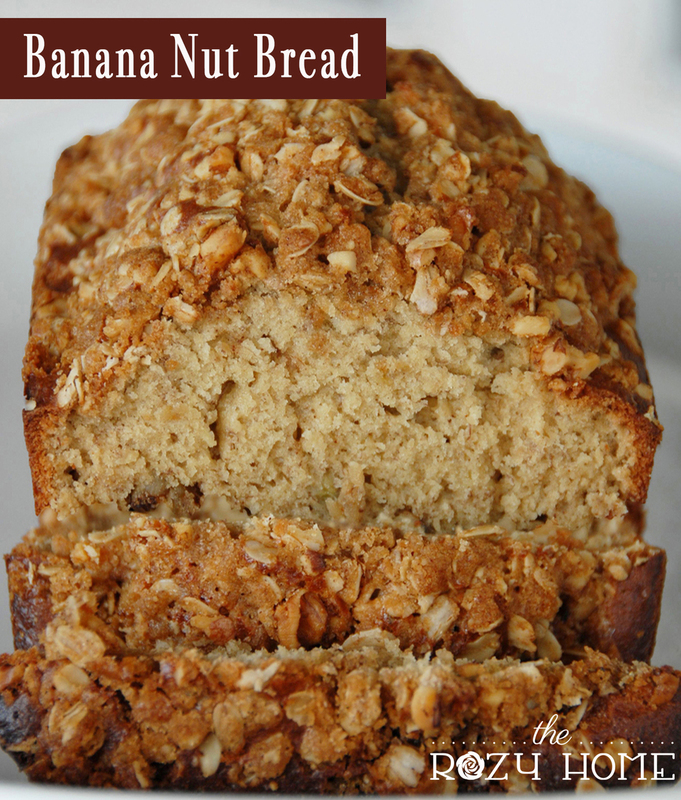 It's nice to finally have an alternative to Banana Nut Muffins (although don't get me wrong... I LOVE Banana Nut Muffins).